Generate business leads with the most cost effective but powerful methods of online marketing. Want to reach for the customers who want the products or services you offer? Talk to us about the most targeted ways of marketing yet, PPC (Pay Per Click) and Email. We will use Google, Yahoo and Bing for PPC to make it happen in the most efficient and cost effective way for your business. We will guide you throughout the whole process from concept design to result analysis. We have developed the complete platform which is based on exclusively on clients’ specifications and is highly track-able to ensure the optimum performance from your e-marketing campaign. Email marketing is the most inexpensive way to reach your customers. Do it as often as you like and reach out to as many as you like. Whether it is just an email shot or you need a customer relationship management system, we are your people. Fourth monkey create compatible custom email templates tailored to your needs and ensure delivery to customers’ Inbox. 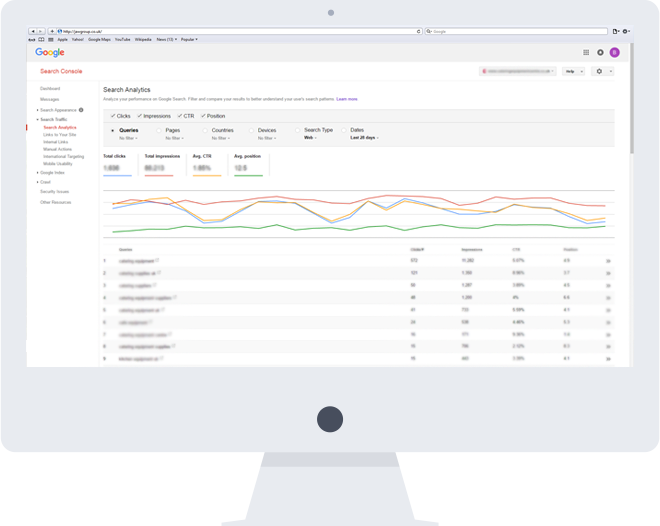 Not only that, we also provide detailed reports explaining who opened the email, who clicked on which links and other important details to analyze your email marketing campaign. Search Engine Marketing also known as Pay Per Click advertising (PPC), guarantees a short text adverts appear on a results page when someone uses the search engine to look for similar products or services as the advert offers. It’s clever: the potential customer is already looking for the product or service via online search; all you have to do is show them you offer them too. The process is very engaging though non-intrusive and your customers are just a click away from your website and start shopping. We care for your e-marketing success, not the fee. You will only pay for the time we have worked directly for you. No monthly contract, no upfront costs. If you wish, afterwards monthly management fee starts from as little as £250 per month for Email Marketing and £200 to £500 per month for PPC depending just on the size of the campaign.